If you have been reading my blog, you might have caught the fact that last summer (August 2015), I went on a crazy adventure to Tanzania. Climbing Mt. Kilimanjaro, camping out in the Serengeti and relaxing on the island paradise of Zanzibar are a combination that can create memories to last a lifetime. I am not exaggerating when I say that this is one of the ultimate adventures that you can do. In two weeks, my entire worldview and beliefs about myself changed. I pushed myself to the limits and discovered what I am capable of, connected with nature and explored a set of whole new cultures up close and personal. The most incredible part of this whole trip is that this is something that just a year before I would never have considered doing. I would never even have imagined myself being capable of doing this. Climbing a mountain was never something that I thought I would ever do, especially not one so tall. On the surface, it seems like a daunting task. Mt. 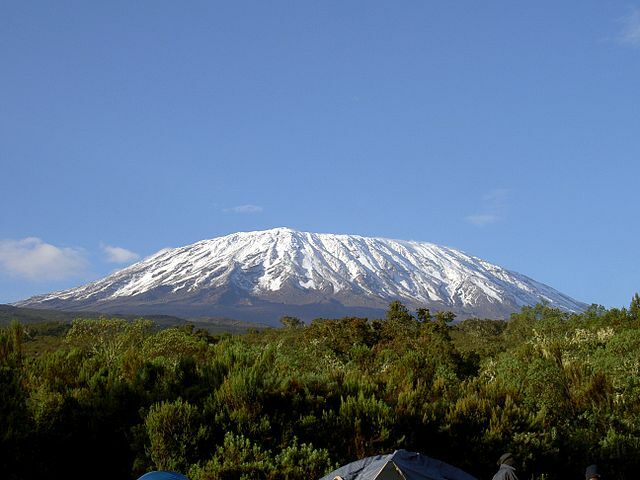 Kilimanjaro is the highest mountain in Africa and rises up to 5,895 meters above sea level. It is located close to the equator, but due to its height, its top is constantly bathed in snow. The peak of the mountain is covered by glaciers, although ones that are shrinking fast due to global warming. They have shrunk by 85% in the past 100 years and unfortunately most predictions say that they might disappear completely in a very short while. Standing at the top is an amazing experience. Looking around, you see a desolate landscape and huge swathes of snow and ice. You are in Africa, but there is snow! The rugged beauty that is in front of you has a special effect on all that experience it. It is as if you were suddenly transported to another world. You are overwhelmed by the entire magic of it all. You have spent days circling this monster, getting closer and closer to its peak, to be foiled day after day. However on this final day, you have made it. You literally come back a changed person. The top of Mt. Kilimanjaro is something only a select few get to experience and you are lucky to be one of them. For a city boy like me, it’s something I thought I would never be able to experience. I didn’t think I had it in me. Granted it’s not the toughest of climbs, but you still have to be physically fit to do it. The most difficult part is the day of the final ascent. You start shortly after midnight, dressed up in all kinds of winter gear, resembling someone ready for a trek in Antarctica and not smack in the middle of Africa. It is freezing cold and it will just get worse the higher you get. What gets you are not the negative temperatures or the fact that you will be going up for hours, but instead the altitude itself. The higher you go, the less pressure and oxygen there is. This can cause severe havoc on your body, especially to people who live in very low altitudes (above all at places close to the sea-level like me). Even if you are physically fit, you never know when your body will literally start exploding, the headaches becoming unbearable and your entire anatomy feeling like if it wanted to fall apart. Even trained athletes have had to turn back, not because they weren’t fit, but because their body just gave up. In extreme cases, this can even result in death. The climb is a test of your skill, endurance and determination. A little luck is needed as well, but a proper preparation beforehand can make your success almost a certainty. By spending time in higher altitudes, hiking and climbing, before going to Mt. 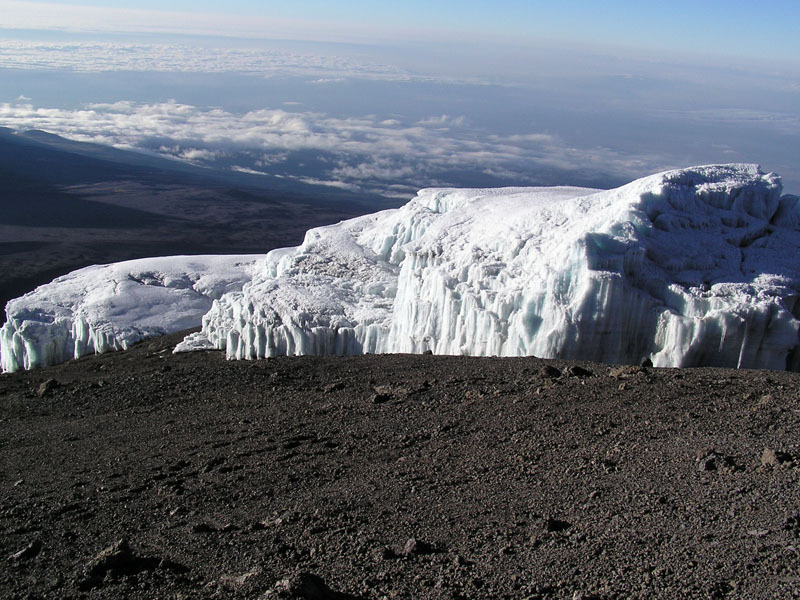 Kilimanjaro, you can acclimatize your body and lessen your chances of complications. And complications is something you don’t want to get. You want to be fit enough to enjoy all the beauty around you. On this final climb, you have to negotiate through different types of terrains, ranging from huge rocks, to snow, to powdery dust. This is not the first day you have to make your way through changing scenery. The entire one-week climb takes you through different terrains, as you start in a sub-tropical rainforest and with each day the landscape changes. One day, you are making your way around groups of small exotic looking trees, while another day you might be hiking through a setting that makes you think you are on the Moon. However this final ascent is different. You do it in pitch total darkness. All you see is a winding snake of little yellowish lights ahead and behind you. These are the headlights of the rest of the people who are undertaking the conquest of Kilimanjaro that day. And the going gets tough. Sometimes you see people going back down, the ones who decided to give up and turn it around. That night, you are pushing yourself to your limit. When you are on the verge of quitting and taking the easy way out by turning back, you clench your teeth and push on, driven by a determination to succeed. It is at these moments that you discover that you are not a pansy after all. And this discovery is as valuable as all the memories that you will take back with you. This is a learning experience. It will do wonders for your willpower. If you train it, your willpower can gradually get bigger and bigger. However doing something like this can fast-forward the entire process. Climbing Mt. 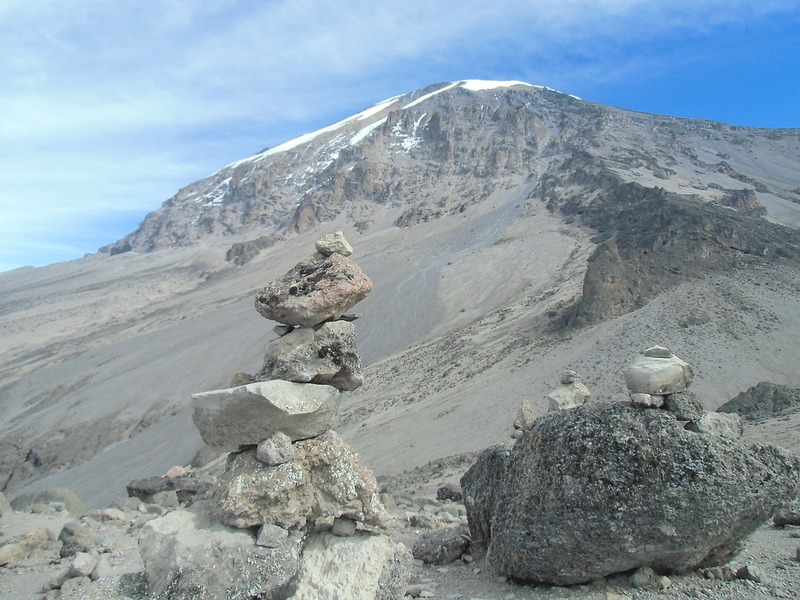 Kilimanjaro is like training on steroids for increasing your willpower. 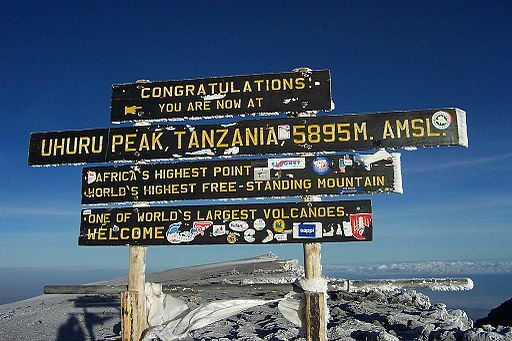 After the successful ascent, you will feel on top of the world, since you will literally be at the top of the world (sorry for the cliche 🙂 ), on the roof of Africa. You will have achieved something that no one will ever be able to take away from you and you will guard it in your heart forever. You will be able to use that as an example for yourself in the future, in situations when the going gets tough. You will be able to take out that memory and say to yourself that here you pushed hard and you succeeded. This will drive you on to power through all your other challenges. I cannot underline enough how much of a valuable experience this has been to me. By climbing the highest mountain, all other mountains seem small in comparison. Use that as a metaphor when you feel yourself stumped or in front of a problem, for each problem is like a mountain that you can climb. It will be hard, but it can be done. You only need to set your mind to it. Another aspect of the journey is that you are surrounded by locals every step of the way, your porters and guides. You gain a different perspective on life by listening to their stories. You meet the guide who has climbed to the top of Mt. Kilimanjaro over a thousand times! For you it’s an adventure, for him it’s his job. You meet the porter who is trying to gain enough money so that he can pay his way through university. You will also meet the guy who is going up and down the mountain carrying things just to provide for his family. Life isn’t always easy for these guys and you will gain a greater respect for others and the hard work they do. This is a trip that leaves a lasting impression on everyone who undertakes it. Climbing Mt. Kilimanjaro is not just a journey to the top of a mountain, but it is also a journey deep inside your soul. It will change you. You won’t come back the same as before you left.